H.W.E carpet cleaning is the most popular method of carpet cleaning in a domestic setting. At the centre of the cleaning process is the extraction machine. 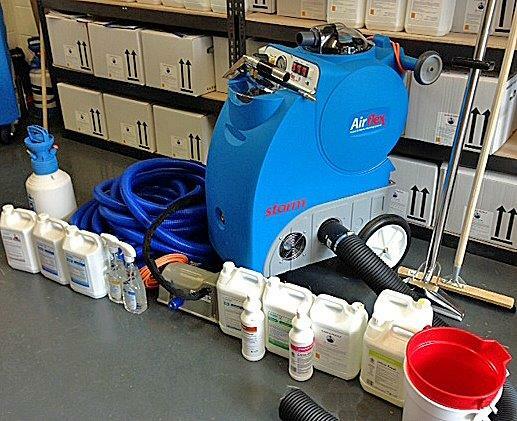 We use the Airflex storm, known as the most powerful extraction machine in the industry. The reason for our choosing the airflex storm is the functionality and the power. A massive 800 p.s.i. 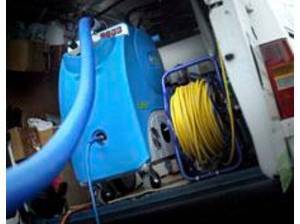 pump gives us massive amounts of water pressure to remove even the most stubborn dirt from your carpets. new design twin vacuums remove 95% of the moisture from the carpet. 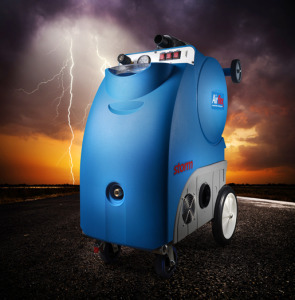 It is the only portable machine that can offer better drying times than noisy petrol driven units. The portability means cleaning carpets in tenement buildings in just as easy as cleaning carpets in ground floor flats. If your building has no parking access, don’t worry. We can park nearby and move the equipment we need to your door. Hot water extraction cleaning can also be carried out with cold water. Our cleaning solutions do all the work in the carpet before the extraction process begins.